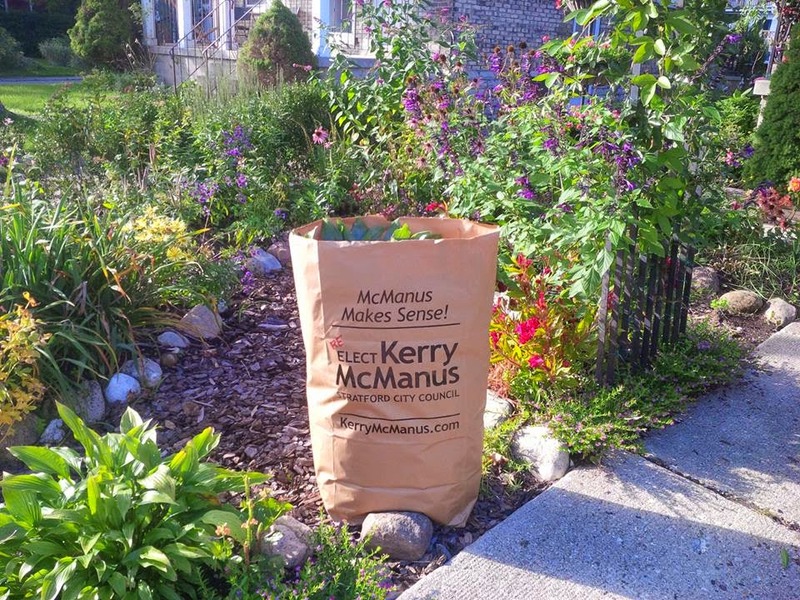 McManus Makes Sense: Trains, Planes... and Tractors? What a day! I learned to drive a tractor and attended my first all-candidates meeting as a candidate. Spending time with Tom and Jackie is always a treat. They are both such great people. A few months ago when I joked about not being able to run to represent Perth-Wellington because I couldn't drive a tractor, Tom offered to teach me. Turns out he was right, it was easy. A morning on a farm doesn't make me an expert on agriculture. Part of my strength as a candidate is that I recognize the importance of listening to others and learning from many different perspectives in developing solutions. My focus is on finding solutions not assigning blame. I am thankful for the opportunity to meet constituents across Perth-Wellington over the next few weeks to learn more about the challenges and successes happening in our riding. I am thankful that we can come together across differences to work for the common good. If we happen to cross paths, I encourage you to share your stories with me. Over the past few years, I've realized how fortunate I am to live in a country where we can freely share different views without fear. Tonight's all-candidates reinforced that reality for me. I appreciated the candor of individuals who shared the challenges they are facing with the ripple effect of local lay-offs. These are difficult times for many individuals and families. While we debate our views on policies, my hope is that we never forget that real people's lives will be affected by our action and inaction. Within 250 miles of Stratford - a community with international tourism excellence, you can buy some of the best and safest food , even in the face of the listeria crisis, anywhere in the world except for tropical fruits and salt water seafood. The message to take to Ottawa is why in the face of that abundance, does your riding have not just one but several food banks? You may also want to ask our incumbent whether or not the PC party still has a plan deep in it's policy manuals to dismantle supply management? Such a policy would seriously and negatively impact our area dairy and poultry producers.